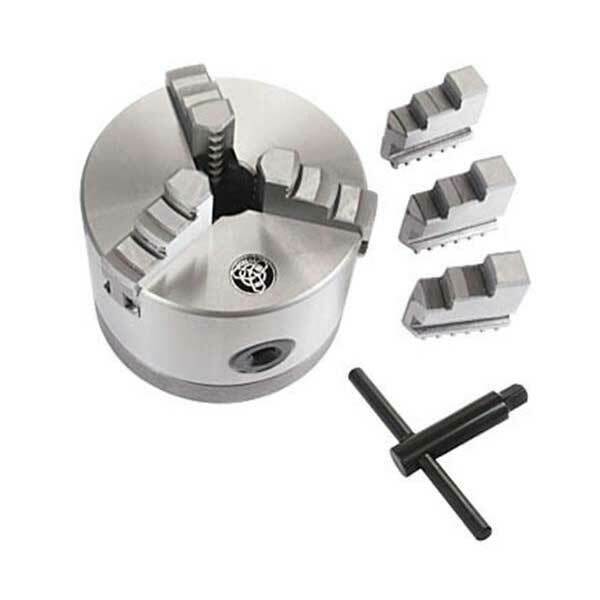 Larger capacity self-centering 3-jaw chuck with 7/8 inch dia. bore allows full use of hole through MicroLux Lathe spindle. Body dia. = 3.937 inches. Internal jaws clamping range = .078 to 1.181 inches. Internal jaws jamming range = 1.181 to 3.543 inches. External jaws clamping range = 1.181 to 3.150 inches.